Exercise is important for everyone and naturals are no exception to that rule. Washing textured hair can be a time-consuming chore that is taxing. I love my coils, but I do roll my eyes when I think of wash day and put it off more than I should. So when you factor in exercising regularly (at least three times a week), the wash day may come more frequently and that can pose a problem for some. Working out is important and no one is disputing that fact. 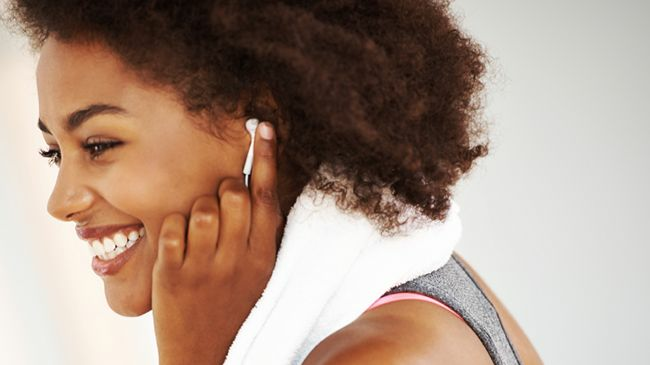 The next question is how to properly maintain or cleanse your hair while exercising regularly? Is there a one size fits all kind of routine and does that go for all hair types? NaturallyCurly member Ivory.conley from our Curly Q&A section needed some advice on whether her wash routine was sufficient. You can find multiple ways to preserve your style, but as Ivory.conley has found out, no one is giving advice on how often to wash your hair when working out regularly. Every curly does not want to be glamorous. Many curly girls just want to know the basics on caring for their tresses while they exercise and worry less about keeping a style. Neither concern is less important than the other, but both issues need to be addressed.